Will You Make the 8%? The New Year’s resolution you just made is probably going to fail. It’s not because you don’t have enough will power. It’s something else. 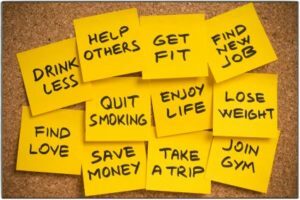 According to one recent study, only 8% of people who make resolutions keep them. [note A quick summary of this very interesting study, including the top New Year’s resolutions made in 2012. http://www.statisticbrain.com/new-years-resolution-statistics] But even with that terrible failure rate, people who make resolutions are ten times more likely to reach their goals than people who don’t. With that in mind, how can you make resolutions that last? In the last post I shared the first reason why your new year’s resolution is going to fail. When you make commitments to yourself out of a negative sense of identity, you aren’t likely to keep them. If you’re identity is that you are a fat person, or an indebted person, or someone who is always angry, it’s hard to make changes. The very resolutions you make (to lose weight!) condemn you rather than inspire you. If you missed it, check out the last post for more on that, and what you can do to make a change. Your New Year’s resolution is likely to fail because you made the wrong kind of commitment to yourself. Your resolution is about the fruit, when it should be about the soil. We want to change our weight or our looks. We want to change our financial situation. We want to pray more or read the Bible more. These are good concrete goals, measurable and verifiable. That’s exactly what you want in a goal, right? But here’s the problem. Those are all outward things and changing an outward thing won’t work if there is an inward reality that needs attention. Did you catch that? This is the second reason so many resolutions fail. We commit to changing something in our lives that is the way it is because of some internal reality. Instead of looking at the internal reality, we want to just change how we look on the outside. How does it help you to focus on losing weight, if the reason you’re too heavy is because your heart is broken, and food makes you feel OK about yourself? How does it help you to commit to getting out of debt, if the reason you’re in debt is because you use material things to show other people that you’re successful and therefore OK? How does it help you to read the Bible more if the reason you’re doing it is because you think it will buy you blessing from God or fix all your problems? We make these kinds of commitments and then wonder why we can’t keep them. We are focusing on the fruit, but you can’t control the fruit. Fruit happens. You’re a Garden, not a Machine. Think about a gardener who wants really great tomatoes. Where does she focus her attention? On the fruit? No. Only when it’s time to harvest. She hardly pays attention to the fruit at all. She focuses a bit on the plant, making sure it’s healthy. She focuses a lot on the soil, making sure it’s got everything necessary to promote growth. She focuses on the environment, making sure there’s water and sunlight and that the weeds are kept back. We really want our lives to function like machines. We want to just pull a lever and get a guaranted result. No matter how much we want life to work that way, it’s not how we were made. There are certain things we can control in a garden. We can make sure the nutrition gets in by adding compost or fertilizer. We can make sure the weeds get out by doing the hard word of pulling them. We can give weak plants extra support by build a little trellis. We can provide shelter in bad weather. But for all the things we can do, we can’t control the plant’s growth and whether they bear fruit. That just happens naturally. 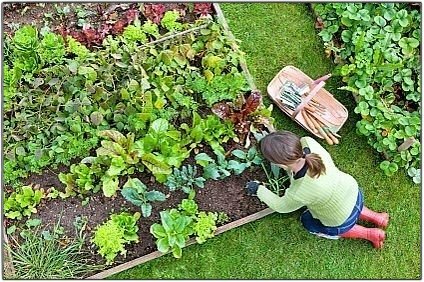 If the soil in your garden is toxic, your plants will die and your fruit will be no good. The Bible says this is true of you. If your heart is sick, the fruit in your life will reflect that. So, if you want to make a resolution that will actually work, you need to make resolutions that have more to do with the soil, and less to do with the fruit. Fruit resolutions are easy to figure out. Paying off $10,000 of debt or losing 20 pounds are clear goals. Soil resolutions are less obvious. But as you invest in them they have the ability to open the door to significant and lasting change in your life. So, what kind of resolution deals with the soil in your life? We’re talking about things that shape your heart, that provide nourishment to your soul, that help you attend to brokenness. 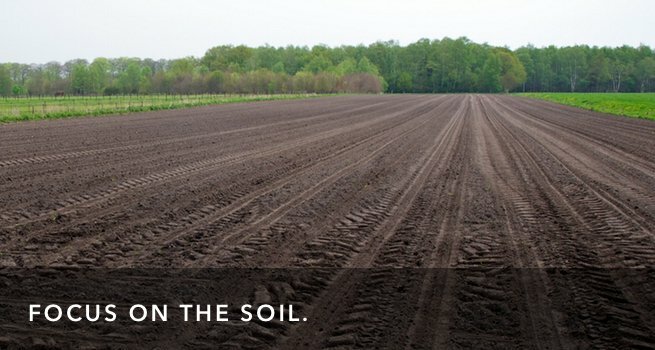 So, it’s going to depend on the state of the soil in your life. Choosing to go to counseling to understand your story and how it’s impacting you today. Choosing to learn everything you can about your identity in Christ, so you can be very clear on who God says you are. Choosing to spend more time with friends that help you be your very best self, and who encourage you to grow. Choosing some daily practice of expressing gratitude, so that over time the way you think about money and possessions will change. Choosing to build real Circle One time into your life, where you meditate on scripture and pray–not because it earns you something, or because you “ought” to do it, but because over time it makes you more aware of God. These kinds of resolutions are like pumping rich fertilizer into your garden. At first it seems like nothing happens, but over time all the plants get stronger and more vibrant, and when the time comes, you get an abundant harvest of healthy, beautiful fruit. Question: What’s the most success you’ve had with New Year’s Resolutions? Why do you think that one worked?